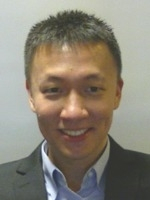 Jiaqing O (OJ) is an evolutionary-minded, clinically-trained researcher who is profoundly involved in examining the kinds of (and potential solutions for some of the) modern-day problems deriving from the interactions between humans and their physical/social environment from a multifaceted evolutionary perspective. More specifically, OJ is passionately curious about evolutionary mismatch in the modern world, with a primary focus on the evolutionarily-novel occurrence of a wide array of maladaptive mental health issues and the detrimental effects of urbanised (vs. natural) physical/social environment on well-being and psychological functioning (and innovative strategies to resolve them). He is also a keen proponent and researcher in terms of examining evolutionary hypotheses from a cross-cultural lens. -> Cross-cultural examinations of evolutionary hypotheses. I am certainly happy to collaborate with a wide array of researchers and to supervise a broad range of students, anyone I'd say who is keen and open to be doing a project related to any one of the above-mentioned research domains. On a more personal level, I like to adopt a very honest and respectful dialogue between collaborators/students and myself and if you are keen to work on something related to any one of these research areas and are happy with such an interactive approach, please feel free to contact me. The evolutionarily-mismatched nature of modern group makeup and the proposed application of such knowledge on promoting unity among members during times of intergroup conflictO, J., 2019 , (Accepted/In press) In : Behavioral and Brain Sciences. Do men prefer women who are attracted to women? A cross-cultural evolutionary investigationApostolou, M., Wang, Y. & O, J., 2018 , In : Personality and Individual Differences.135, p. 31-399 p.
Getting to the bottom of things: The value of evolutionary approaches in discerning the origin of psychopathologyO, J. & Brüne, M., 2018 , (Accepted/In press) In : Behavioral and Brain Sciences.